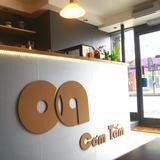 OA Comtam is a Vietnamese restaurant in Holloway serving a variety of authentic dishes. 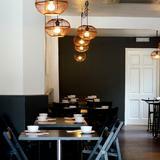 "Growing up in Vietnam, Nguyen Brothers have the great ambition to bring authentic Vietnamese food to London. 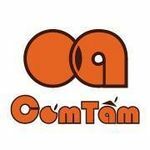 Been working in catering industry for more than five years, OA Comtam is their first result. 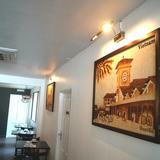 The restaurant provides most featured food from North to South Vietnam. With proven Healthier Catering Commitment for London from Islington Council, we commit to bring out fabulously healthy food, fresh to customers. 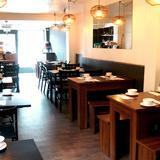 Instead of travelling half way to the East of the world, just a stone away from Holloway Road ( half a minute walking from the station), you can experience all the amazing Vietnamese dishes in OA. Why not try Traditional Comtam, Pho, Bun ( rice vermicelli), Ca Mam Xoai ( fried sea bass served with fresh mango and fish sauce), Curry or delicious char-grilled dish on the menu." in front of the restaurant and the backyard. What did you think of OA Comtam?